A new NRF survey proves what we’ve been saying for months about conversion to the new chip-and-signature credit cards — that retailers have done their part and it’s the card industry that’s dropped the ball. The survey, conducted in May and June, found that 48 percent of retailers responding had already implemented the new “EMV” chip card system or expected to have done so by the end of June. A total of 86 percent expect to have EMV — short for Europay MasterCard Visa — up and running by the end of the year. Of those who had not implemented, 57 percent said they had already installed the card readers and other equipment but were still waiting for certification by the card industry so they could turn it on. And 60 percent of those said they had been waiting for six months or longer. In 2015, Oregon’s population increased by 51,100, surpassing the mark of 4 million residents. This marked growth of 1.3 percent over the year. 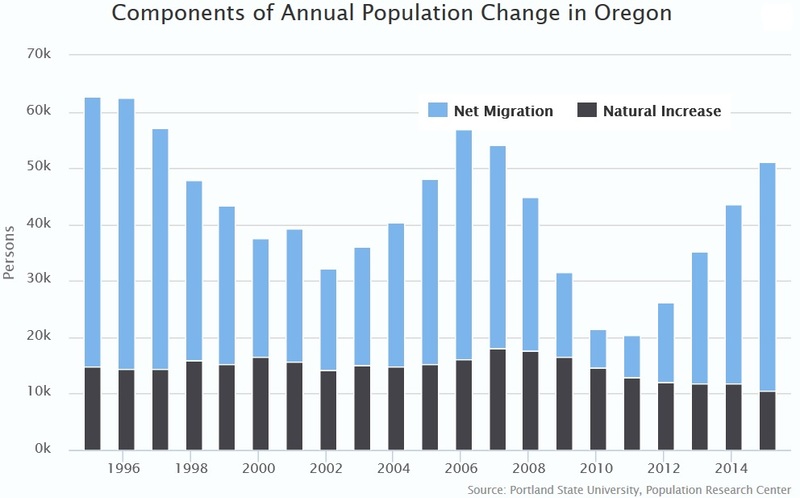 A lot of Oregon’s population increase was due to net migration, which at 40,600 people was the largest net migration since 2006. Natural increases contributed 10,500 to population growth, which may be the smallest natural increase since 1973. This week’s (fictional) mailbag question comes to us from Macy Gimbel, who is the human resources manager for Gadget Garage, a thriving inventions business in East End. Macy has a couple of questions related to pre-employment drug testing and marijuana. Here is her question. Earlier this week, the National Labor Relations Board (“NLRB”) issued a 3-1 decision that made it easier for Unions to organize a workforce made up of both regular and temporary employees. Under the prior ruling, the main employer and a staffing agency both had to consent before an election covering a combined bargaining unit of regular and temporary employees could take place. Under the new standard, a Union seeking to represent employees in bargaining units that combine both categories of employees is no longer required to obtain employer consent, and the NLRB will apply the traditional community of interest factors for determining the appropriateness of the composite unit. Edward Snowden was interviewed by John Oliver and included a new phone case that hides your location. Pokémon Go is a free-to-play location-based mobile game available on iPhones and Android devices. 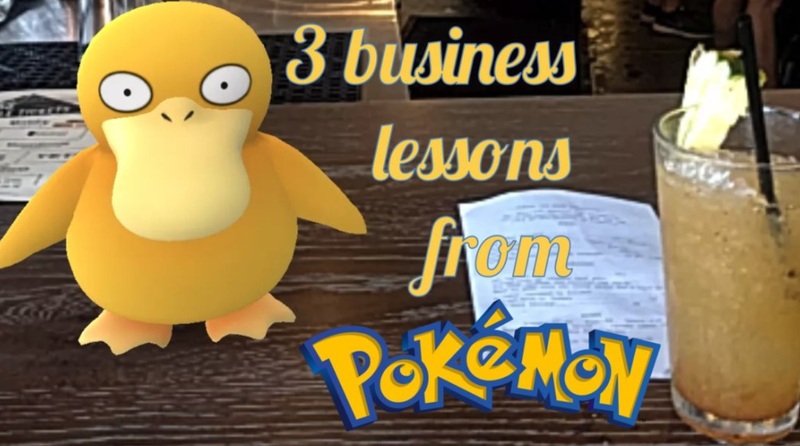 The game allows players to capture, battle, and train virtual creatures, called Pokémon, who appear on device screens as though in the real world. It makes use of GPS and the camera of compatible devices. The game’s been out a week, and it’s a huge hit. But, a lot of people – including business people – seem downright hostile to the game. Big mistake! 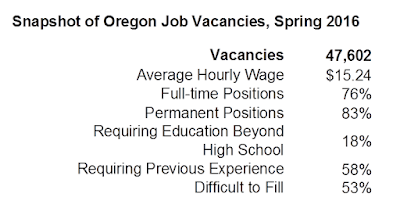 This Oregon Employment Department released the initial estimates for June 2016 in terms of jobs and the unemployment rate. Overall the data continue to bring good news, even as the unemployment rate ticked up a bit. The reason being is the state continues to add jobs and the labor force is growing. As shown below, our office’s measures we use to gauge labor market slack continue to improve — certainly over the past year. 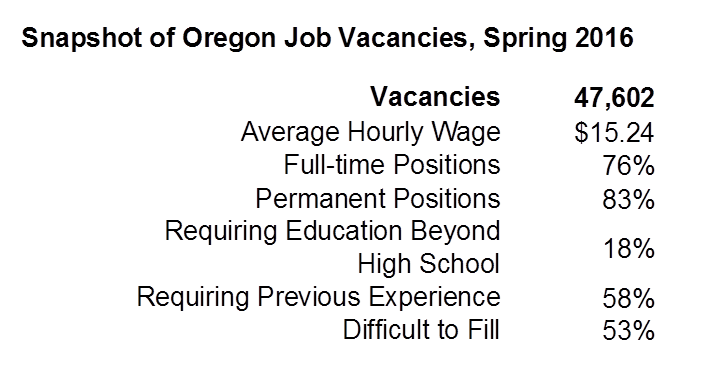 Oregon businesses reported 47,600 vacancies in spring 2016. 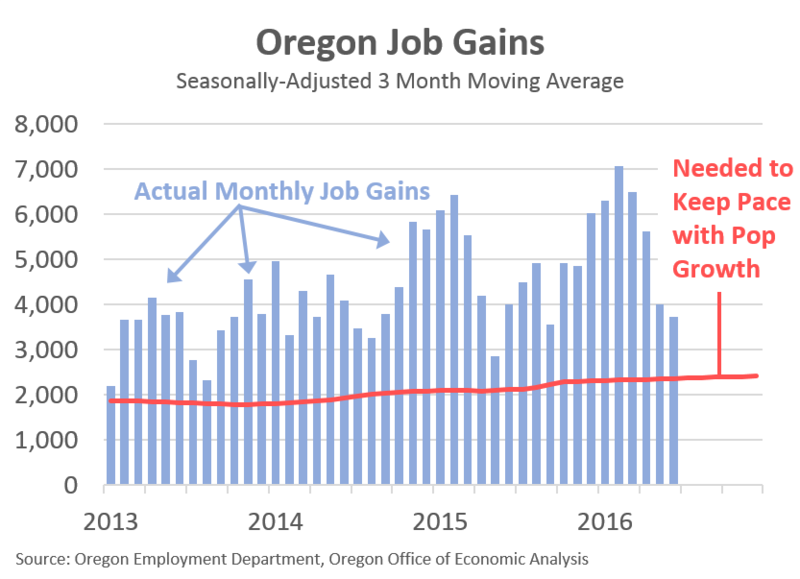 That’s an increase of 6,400 from winter, but 5,700 fewer job vacancies than the all-time high of 53,300 in spring 2015. Congressman Kurt Schrader (OR-5), Congressman Jim Cooper (TN-5), Congressman Henry Cuellar (TX-28) and Congressman Collin Peterson (MN-7) introduced legislation that will initiate a reasonable three-year phase-in of the Department of Labor’s new overtime rule. The new rule, proposed in May, raises the threshold for employees who are exempt from overtime pay from $23,660 to $47,476, and goes into effect immediately on December 1, 2016. The Overtime Reform and Enhancement Act, introduced today, will incrementally phase in the new threshold of $47,476 over the next three years, beginning with a 50% increase this December. As the final threshold more than doubles, this is the first time since 2004 that the threshold for overtime exemption will be raised.